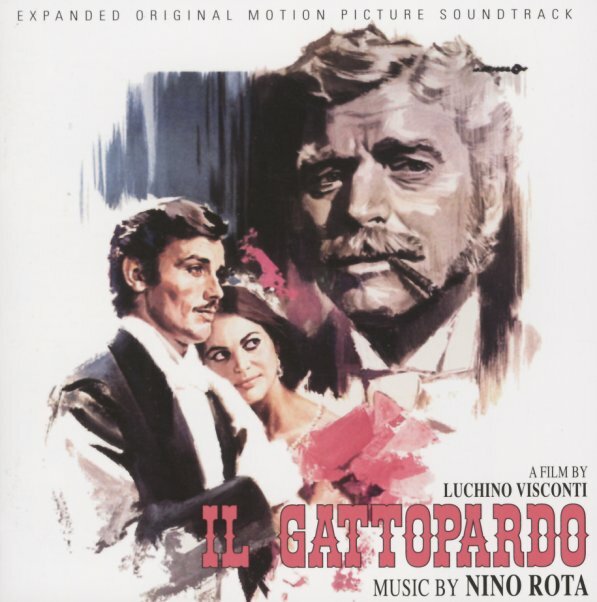 Nino Rota's impressive score for the Luchino Visconti film The Leopard – sounds put together with enough of an epic feel to match the sprawling story of the movie! The music is more orchestral and serious than some of Rota's Fellini work from the same period – a masterful bit of scoring that matches the richness of the previous Hollywood generation but with some of the more complex elements we love from Rota. A number of longer themes are almost mini-suites in themselves – "Viaggio A Donnafugata", "I Sogni Del Principe", and "Angelica E Tancredi" – and some shorter pieces have almost an early 20th Century Vienna vibe – including "Mazurka", "Controdanza", "Valzer Brillante", and "Quadriglia". This magnificent 2CD set offers more music from the score than ever before – 30 tracks from the film score, 10 from the soundtrack album, and an additional 15 bonus tracks too! © 1996-2019, Dusty Groove, Inc.